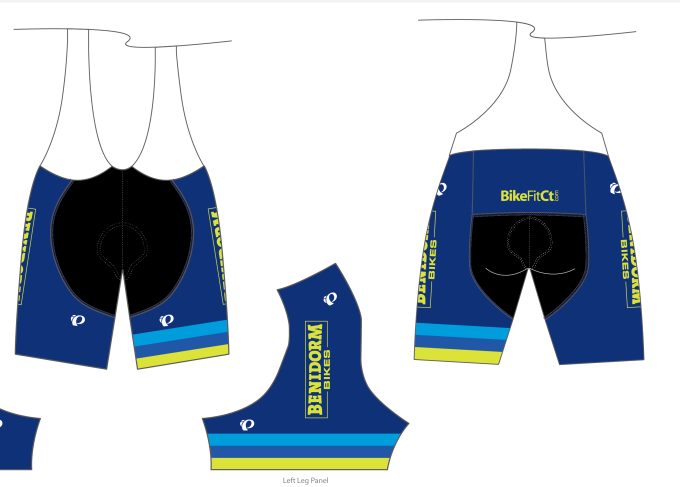 Sounds like the blue pursuit bib/short order needs to be in by next Tuesday 3/6 to meet the early May delivery. Call the shop for details! Check it out! The new and improved Benidorm Bikes cycling 'kits'. PearlIzumi will be making our custom clothing and jerseys, shorts and bibs will be available in both semi-form fit and form fit options, women's included! If you would like to see yourself in the blue Pro Pursuit bib short, we will be taking orders through Tuesday, March 6th. There are Pro Pursuit bibs and Elite Pursuit jerseys to try on at the shop, in case you'd like to confirm your sizing. We will have all black shorts and bibs in the Elite Pursuit model. It is the blue bib that we are trying to track and order more appropriately...so please contact us with your interest. Info@BenidormBikes.com , calling or stopping in would be best. Can't wait for these kits to arrive in early May. March 6th came and went. 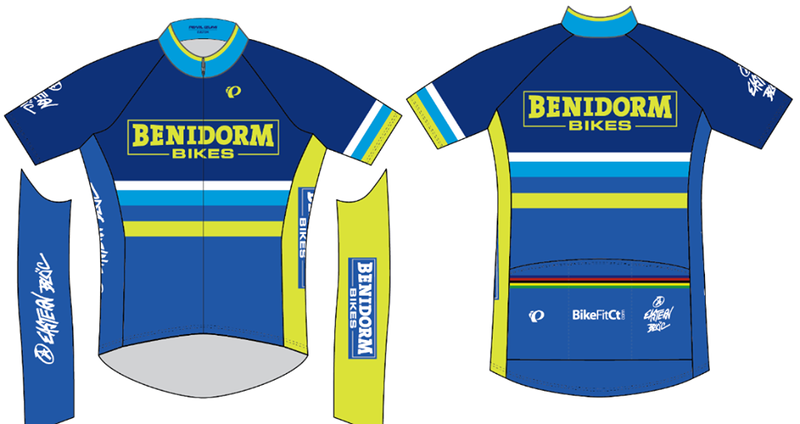 The order is being submitted, Tuesday, March 13th, so please let Jan@BenidormBikes.com know if you want to be ordering this new kit. We are trying to get a better idea of those wanting the blue bib, as we won't be stocking a deep selection of those. Black shorts and bibs of the Elite Pursuit model will be available for purchase, but our order could be refined in advance if we know of any club member's interests. Come try them on if you'd like. Now that the junior team is getting off the ground, I’m interested in a pair of the blue bibs. I haven’t a chance to look at the sizing chart—and have been on a mission to lose some weight—but imagine that I’d need a medium or large. Hope this helps. Looking forward to speaking with you more about the junior team soon. Thanks. And the new clothing is HERE! If you ordered any of the new PearlIzumi clothing, it is ready for you to pick it up. If you would like to purchase new clothing, it is available. If you would like to save 50% on the Voler clothing, there are some jerseys (long and short sleeve), wind jackets, wind vests and shorts still available. As the design for 'fall/winter' clothing is wrapped up, we will be taking orders for that as well. Let us know if you have questions. Thanks!